The 2014 Oscars have come and gone, but the red carpet memories still linger. This year’s Best Actress nominees spanned the decades from Amy Adams to Judi Dench proving once again that great acting is great acting—no matter the person’s age. What may change with age is the health of a person’s feet, and for women, the height of their heels as they walk the red carpet. While no one will know, it’s possible that some of these leading ladies used custom orthotics for dress shoes to make hours on their feet bearable. A custom orthotic is made specifically for your foot type, and corrects the function of your foot. Common foot conditions such as heel pain and metatarsalgia can be addressed through the use of these devices. After taking a mold of your feet, your unique orthotic is made. We often hear, “Can I buy custom orthotics at the drug store?” The answer is a resounding, “No.” While you can purchase shoe inserts at many stores, these are not custom-made for your feet. Take a look around the next time you’re at the mall, and you will see people of all shapes and sizes. Yet, when you look at drug store shoe inserts, there are only a handful of options. Every foot is unique, so it makes sense that the most effective type of orthotic is one designed to address your specific foot mechanics. Many people fall victim to drug store brands that claim to stop foot pain, but it’s really a shot in the dark. In fact, you could end up causing yourself more pain. There’s no reason to suffer from foot and ankle discomfort. The Austin foot experts are here to help. Dr. Craig H. Thomajan DPM, FACFAS and Dr. Shine John DPM, FACFAS understand that your feet are the foundation of everything you do. 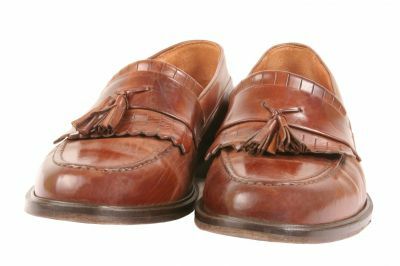 Custom orthotics for dress shoes can help you feel like a winner every day! Call (512) 328-8900, or visit us online today. How Often Should You Replace Orthotics?